We live in a time of rapid technological change. The fact is so obvious that many of us fail to notice it most of the time. But even if we’re dimly aware that new technologies are becoming available all the time, we generally don’t notice the most useful and advantageous aspects of those technologies. For the young ‘uns, let me explain. This is a five-and-a-quarter-inch floppy disk. In the 1980’s and early 1990’s most computers did not have hard drives. 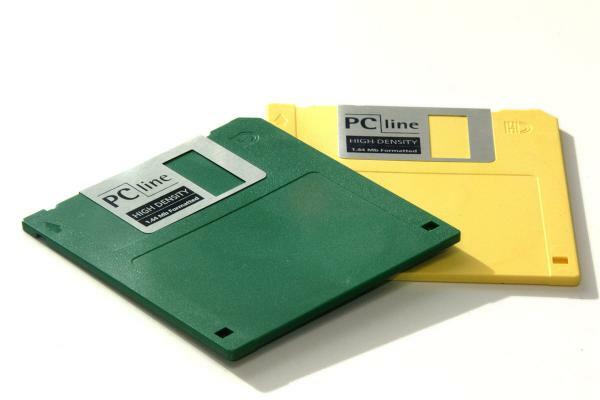 If you wanted to store your data, you stored it on one of these. Each one held 360 kilobytes of data. It was called a floppy disk for a reason. The material was not stiff, but bent easily. If you bent it too much, you destroyed the disk and lost the data. If you touched the film, you destroyed the disk and lost your data. If you got it wet, or brought a magnet close to it, or let it get too hot or too cold, you lost your data. Three-and-a-half inch disks were stiffer, more durable, and held 1.44 megabytes of data. However, they could still be damaged. Nowadays, thankfully, we have flash drives. A flash drive holds thousands of times as much data as a floppy disk, and has other advantages as well, as I just found out this past week. On Tuesday I carelessly left my flash drive in my pants pocket, put the pants into the dirty laundry pile, and put the pile into the wash. The pants, with the flash drive still in the pocket, spun around the washing machine for about half an hour while being immersed in hot and then cold soapy water. Afterwards I took the pants out and hung them up to dry. On Thursday I suddenly noted that the flash drive was missing. I searched frantically until I found it in my pants pockets, at which point I took it out and connected it to my laptop. The flash drive still worked and, as far as I can tell, all of my files are intact. Now that’s what I call advanced technology.